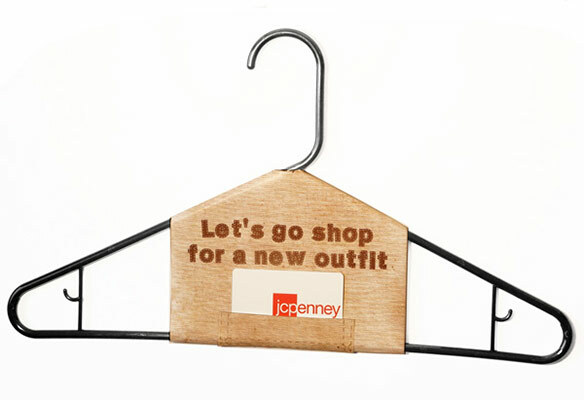 A hanger wrap invites your sweetheart to a day of shopping for a new outfit or uniquely presents a loving message. 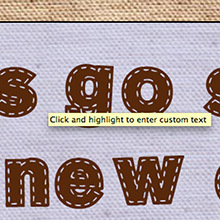 Choose from the canvas fabric or white leather background and personalize up to four lines of text. The personalized text looks like stitched fabric. I love just hanging out with you. Let's go shop for a new outfit. Empty? No! We need to fix that. Wear this for our date tonight. Thank you for always covering me in your love. Don't forget today that I love you. You always keep me warm. Clothes shopping can be fun or boring depending on your attitude. Even if you don't personally like spending time shopping or waiting outside the fitting room, make every effort to show your interest, patience, and full attention. 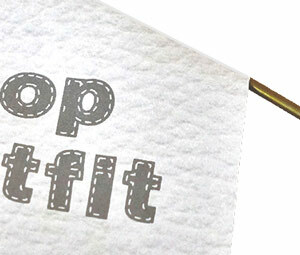 Leave the personalized hanger on a door knob or present with a new outfit you have chosen yourself and a loving message. 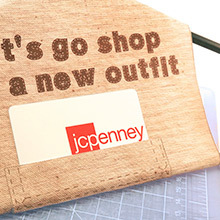 Add a gift card to her/his favorite fashion store with the optional pocket. 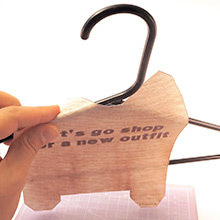 Easy photo instructions to personalize, print, and assemble your own hanger wrap are below. Click and highlight the wording in the PDF form field to personalize. 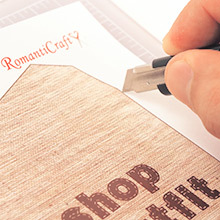 One or two lines of text only if using the optional gift card pocket. Choose from canvas or white leather. 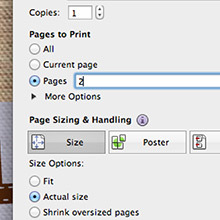 Click the print button or File, Print and select Pages (enter 2 or 3 only) before printing. 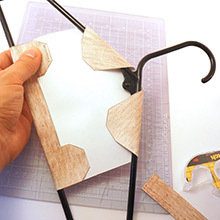 Use the craft knife or scissors to cut around the outside edges of the hanger wrap. Cut out the optional gift card pocket also. 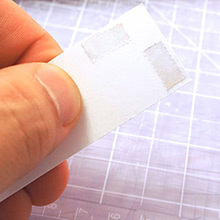 Place double sided tape or glue on each of the corner tabs. Any plastic or wire hanger works well. Plastic is better if using the optional gift card pocket. 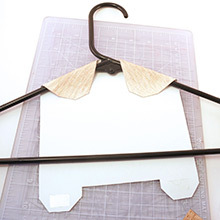 Fold the top tabs around the hanger as shown and press onto the back. The back will look as shown. 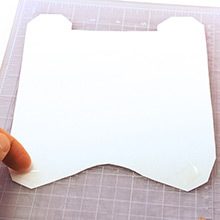 Fold over the bottom two tabs and press to attach to the back. If you are not using the optional gift card pocket, then present your hanger wrap on a door knob or in the closet where it will be seen. 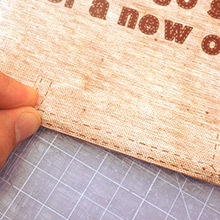 The optional gift pocket has printed stitching along the sides and bottom. Fit the double sided tape in Step 9 within these lines on the back. 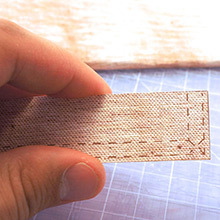 Flip over and place very thin pieces of doubled sided tape on the white side along the stitching lines as shown above. Center the pocket along the bottom of the wrap. Curve the bottom of the pocket along the bottom of the hanger and press along the stitching to attach. Any standard gift card slides into the hanger wrap pocket. You may also make your own coupon to place in the pocket.